Geoff Dyer was a talentend young writer, full of energy and reverence for the craft, and determined to write a study of D H Lawrence. But he was also thinking about a novel, and about leaving Paris, and maybe moving in with his girlfriend in Rome, or perhaps travelling around for a while. 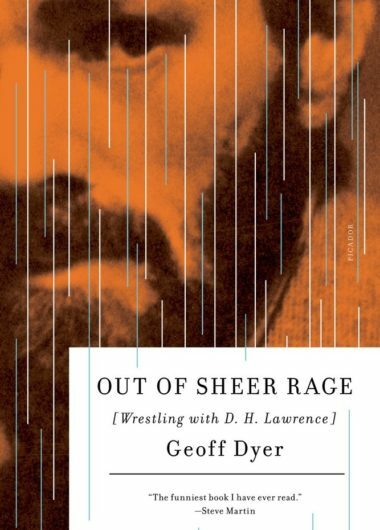 Out of Sheer Rage is Dyer’s account of his struggle to write the Lawrence book – a portrait of a man tormented, exhilarated and exhausted. Dyer travels all over the world, grappling not only with his fascinating subject but with all the glorious distractions and needling anxieties that define the life of a writer.